This bright, spacious apartment is located a short walk away from the breathtaking Sagrada Familia. 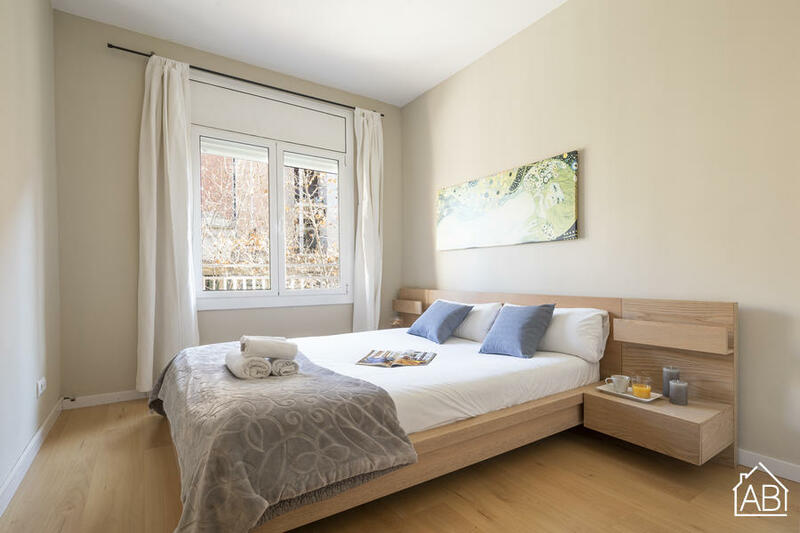 With many lovely cafés and restaurants in the area, as well as a highly convenient metro station at the end of the street, this is a great place to be based during your stay in Barcelona. From here you will be able to really enjoy the best that the city has to offer and be sure that you´ll have a comfortable place to come home to at the end of the day. With three bedrooms and a sofa bed as well as two bathrooms, this apartment can easily accommodate seven people. There is a fully equipped kitchen, perfect for preparing home cooked meals, and a lovely living area complete with TV, perfect for relaxing after a long day´s sightseeing. Bed linen and towels are provided and the flat is also fitted with air conditioning.